Other Lampworked Glass Pendants--Our Lampworked glass pendants are all hand made and spectacular! 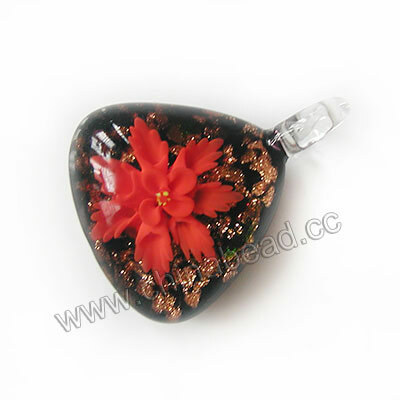 In this category, you can see a variety of stunning lampworked glass pendant in different shapes, such as oval, diamond, triangle, teardrop and so on. All beautiful and exquisite! Easily incorporate our lampworked glass pendants into your own pieces for an attention-getting focal point. NOTE: Our Min. order is for each color each size. China beads accept OEM/special orders. Contact us now!